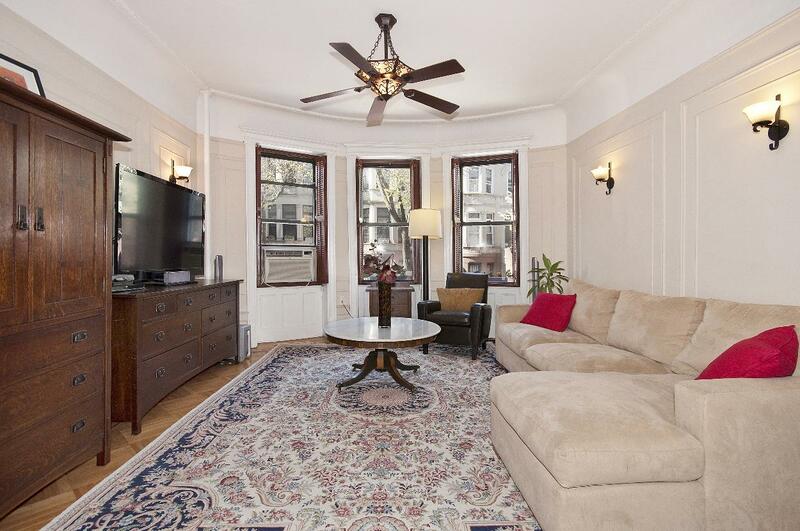 This is the Park Slope home you have dreamed of! Upstairs, you'll find 3 real bedrooms, 2 full bathrooms with slate and hardwood floors. 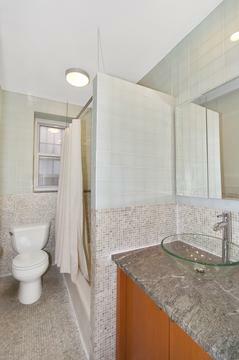 The master bedroom has en suite bath and ample closets. Original details adorn the sunny living room. 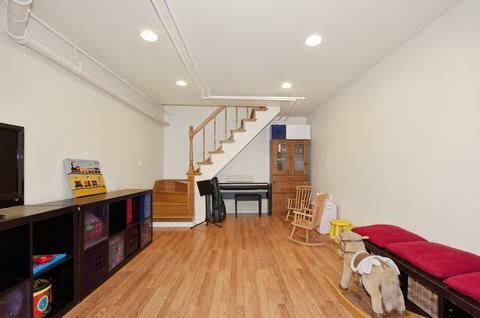 Downstairs is a newly renovated cellar with an office/gym, rec room, laundry and bathroom. 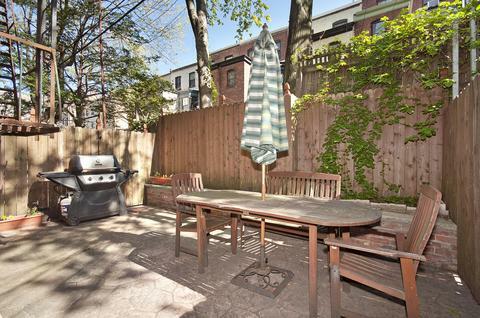 Outside is your private landscaped garden where you can spend the summer grilling and letting the children play. 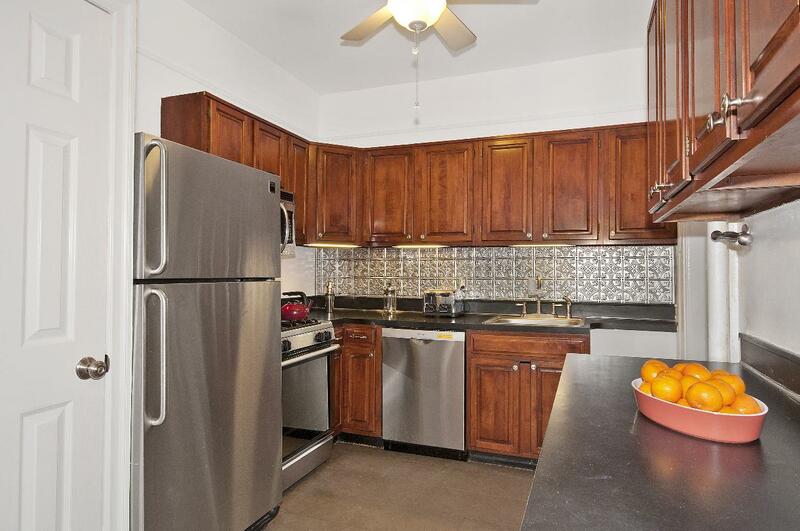 Within a block is Prospect Park, Harmony Playground, the Band Shell and an F & G subway station. 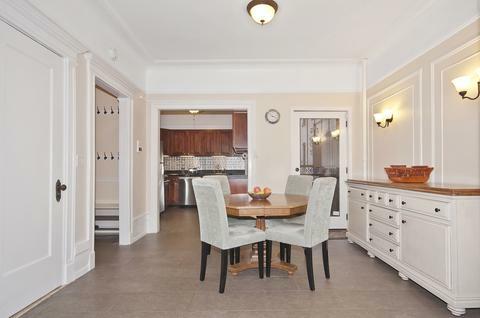 This apartment is in a well maintained coop on a historic park block in the heart of center slope in the coveted PS 107 school district. Low monthly maintenance, as well. Move right in and enjoy from the very beginning! - Dogs are not permitted. Well maintained 8 unit limestone coop. 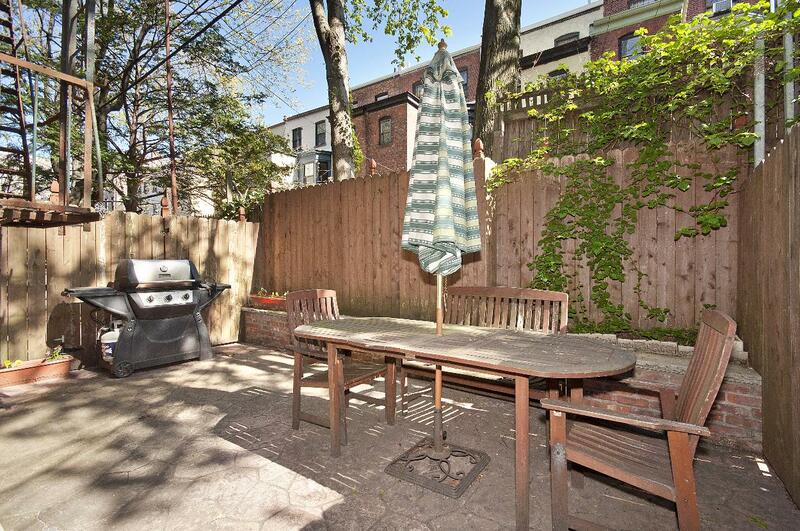 Located on a historic park block located on a "Greenest Block in Brooklyn".